This week people who had their Office365 tenants setup with ‘First Release’ started to see the long anticipated Delve (formally Codename Oslo) arriving on the tenants. This article is a summary of the information which is correct at the time of writing. Is Delve coming to on-prem? A hybrid approach is more appropriate due to the complexity and processing power required to drive the OfficeGraph engine. There will be APIs to allow connection to other data sources for the signals driving the OfficeGraph. Microsoft are planning a hybrid connector that can integrate signals and content from on-premises. They have no current timeline. This is probably going to feature for the scenarios where Lync and/or Exchange have an on-premises installation. Some users concerns around privacy topics. The example cited was that a company Delve was showing trending documents for certain HR documents for example, psychological assistance and domestic partner coverage and maternity benefits. The question was around being able to exclude certain content from producing signals. The documents could be excluded through the normal SharePoint permissions capabilities. Delve relies on the search index, so excluding a file or folder will exclude it from Delve as well. Currently there is no feature to exclude documents from Delve but have them available to everyone via SharePoint/Search. Side note about storing documents from HR in Yammer and the fact that ‘viewing’ it shows up in the activity feed in the top right. This gives people visibility on what other users are looking at, so someone looking at HR docs around maternity is kind of announcing that interest to the whole organisation. Not so good. Delve does not show ‘who’ viewed a document ever. Trending is invoked when multiple people who have a relationship with you have accessed the doc. The author is the named entity. This is slightly confusing in the UI. At a glance the name appears to be the user who viewed the document. Careful communications would need to be done for this on rollout. Delve only shows if someone modifies a document (this is available through SharePoint anyway). Delve doesn’t show who viewed the document, where many people have viewed the document Delve says several of your colleagues have viewed this document, but never divulges the names. ‘Trending’ does not mean a person viewed it, only that your colleagues are generating activity around it. (no information on the definition of activity). Could OfficeGraph be consumed in PowerBI? In theory this should be possible as its got an API. Like an ESN Delve thrives on a wide and deep network of users. By restricting to s subset an organisation would fall into the ‘doomed social pilot’ trap of not enough signals to add the absolute value. Obviously this is an ESN success perspective. Organisations will have reasons for this request, regulation, change mangement and security were all cited. Also it was noted that you can disable Delve at tenant level, it was unclear as to whether this is the Delve UI alone or included the OfficeGraph underpinnings. Currently this is being rolled out to ‘First Release’ tenants first. What is the Delve UI item display limit? Answer: 36 documents before adding filters by using search. Microsoft said 36 was chosen as the starting point through internal MS trail data. Their data showed that click rates dropped to zero at a certain point in the page. How will Delve handle existing content and groups? Being search based it can pick up everything in the tenant today. Office365 E1-E4 and corresponding Gov and Academic plans. At first release Delve gets signals from Exchange, OneDrive for Business, SharePoint Online and Yammer. 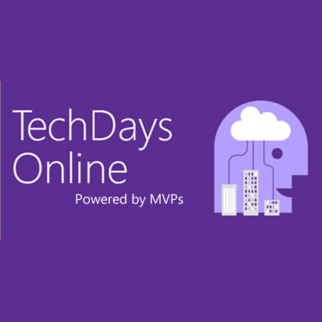 Primary content surfaced from OneDrive for Business and SharePoint Online team sites. What determines the people list? This is the top five people you interact with. Thanks for collating the write-up. I think it is good to get this sort of knowledge to people outside of the Yammer networks as people need to start understanding how these technologies work. One challenge that I am seeing is that it is only people that are very active within Yammer networks such as the YCN, or O365 Yammer networks actually understand how the tools work. There is a big knowledge gap between what these systems do, and what people “think” these systems do.